The Rules - updated for 2016! As this is an ongoing craft swap there is no cut off. I will post the first box by Friday 8 January. I will email you details of the person to post your box to. 1. By signing up you are committing to sending the box on to the next recipient at an approximate cost of £3.20, so if there's nothing you'd like when the box gets to you, I'm afraid you will still be responsible for posting on. 2. You commit to sending on your box within 3 weeks of receiving. 4. Partially used items are fine to add as long as they are in a usable condition. 5. Remember to put in items to an equal or greater amount to those you take. 6. Due to high postage costs, I'm sorry that this swap is open to UK residents only. 7. Proof of postage should be obtained and kept until your recipient has posted that they have received. 8. Please keep to under 2kg to keep postage costs down. 9. 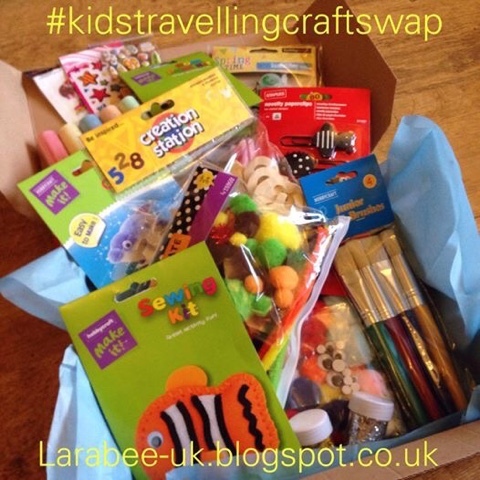 We'd love to see how you've used the items from this swap, please participate in the 'community'. 10. By agreeing and posting photos you agree for your photos to be shared in future swaps or blog posts. Please do not join in if you do not want photos to be shared.